Stress always affects performance. 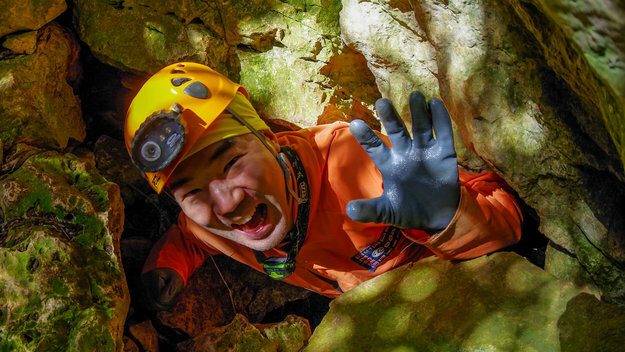 Caves offer a controlled environment for instructors to adapt a situation to keep astronauts under continuous tension. They can introduce problems that need to be solved, the astronauts plan their activities, learn from their mistakes, and improve their interactions. Astronauts that work on the International Space Station come from Russia, Europe, Japan, USA and Canada, each with their own work culture. 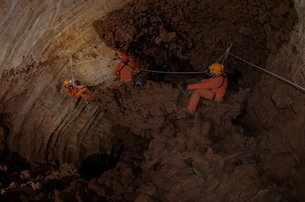 Astronaut training is geographically scattered and astronauts do not always have time to get to know each other, so CAVES offers an opportunity to meet and learn the finer points of working together in demanding situations.Moving in a cave, either horizontally using cables and tethers or vertically with climbing equipment, requires continuous attention, skilful use of tools and a healthy trust in the equipment. 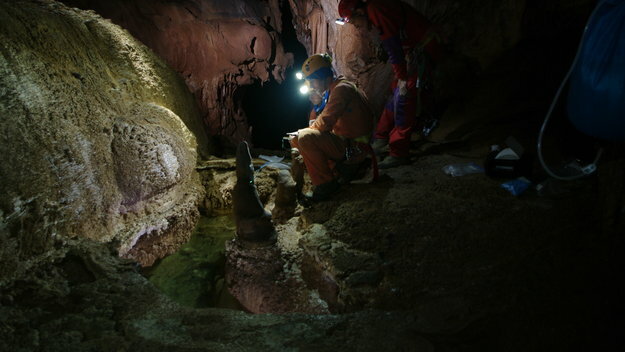 Underground ‘cavewalks’ are similar to spacewalks because they require safety tethering, 3D orientation, staying clear of dangerous areas, and careful planning and teamwork. CAVES focuses on multicultural approaches to leadership, following orders, teamwork and decision-making. At the end of the course the astronauts have a better understanding of how they function in a multicultural team and what they are skilled at, as well as areas for self-improvement.